Applicants must be a graduate of a college of pharmacy accredited by the Accreditation Council for Pharmacy Education, and be eligible for licensure in Washington State. Previous experience in hospital pharmacy practice and a sound academic record are also important considerations. Applicants must also demonstrate a commitment to excellent verbal and written communication skills, professionalism and leadership, and to the provision of pharmaceutical care. For specialty residencies, the candidate should hold the Doctor of Pharmacy degree and have completed a general residency. Applicants must be graduates of accredited pharmacy schools and eligible for licensure in Washington state. Applications for the Drug Information Practice Residency are due by January 31, 2019 or until the position is filled. Pharmacists completing the residency will be competent practitioners of drug information and academia. They will also be equipped to meet the challenges of current and future pharmacy practice including promotion of optimal drug therapy, education of other health care professionals and patients on drug-related topics, and balancing practice and academic responsibilities. The goals of this team are to improve the care of geriatric patients in the Inland Northwest, to perform meaningful research in the field of geriatrics, and to train and educate pharmacy students and other health care professionals on the special pharmaceutical needs of the geriatric patient. Read more about the geriatric team. The college has partnered with Providence Visiting Nurses Association to offer a residency opportunity designed for assisting the resident in becoming specialized in ambulatory, home-based geriatrics and to gain substantial teaching experience. Affiliation with the CPPS affords a resident many opportunities, including adjunct faculty status as a clinical instructor. Teaching opportunities include didactic lectures, small group teaching in the Pharmaceutical Care Laboratory, and assistance with precepting 4th-year students on rotations. In the broadest sense, affiliation encourages an academically motivated environment. For more information on WSU affiliation, contact Abby Parsons at abby.parsons@wsu.edu. WSU affiliation grants an opportunity for pharmacy residents to be in an academic environment, by working with WSU faculty to apply specific patient care related skills, and obtaining experience in providing education to WSU pharmacy students. Residents are appointed as clinical instructors upon acceptance to the WSU-affiliated program and will have opportunities to teach in the clinical and classroom setting, including the Applied Patient Care (APC) course. 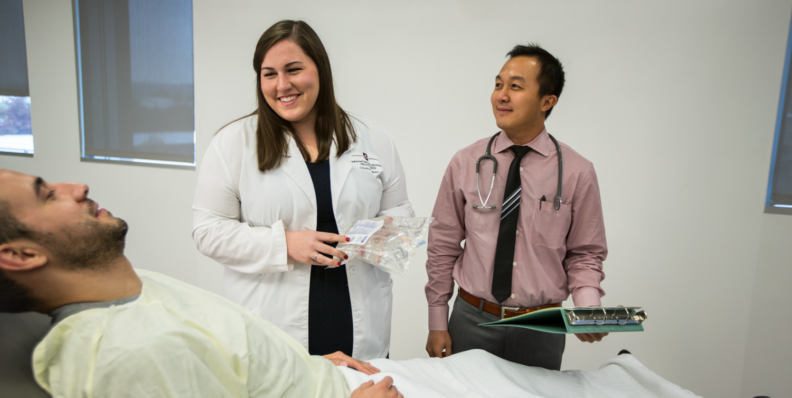 In addition, residents are encouraged to participate in experiential education activities through serving as a preceptor for student pharmacists at health care events and pharmacy sites. Residents may also have an opportunity to participate in a variety of WSU-related programs such as continuing education, training and workshops. Applications are accepted beginning November 1. Qualified candidates will be contacted to schedule an onsite interview. The start date is July 1, and the program is 12 months in duration. CHAS hosts a pharmacy residency designed for pharmacists in their first year post-graduation (PGY1) in managed care. CHAS has one of the most innovative pharmacy practices in the Pacific Northwest. Their pharmacists have prescriptive authority under several collaborative drug therapy agreements.